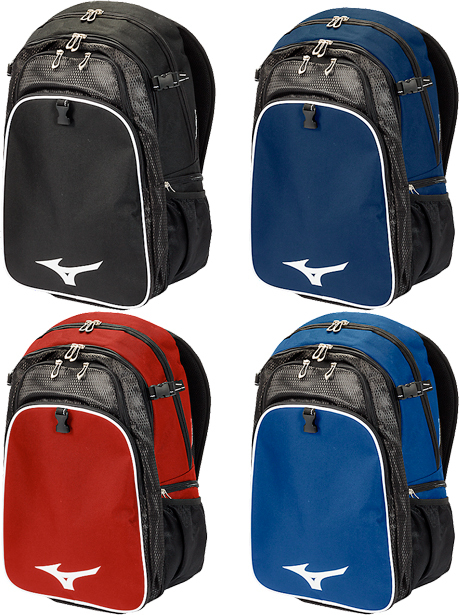 Mizuno Brand Vapor 2 Backpacks in 4 Team Colors - Sling Packs, Back Packs, Bags, etc. Mizuno's Vapor 2 Team Back Pack is a Stylish Backpack Bag great for any sport, and is designed to keep all your sports equipment organized. 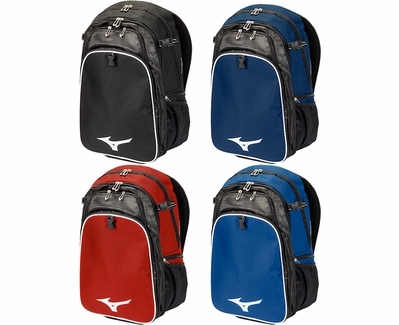 Mizuno's Team Vapor 2 Back Pack Bags are available in these Colors: � Black, � Navy Blue, � Red, & � Royal Blue.